Unique Group's Buoyancy & Ballast division recently supplied its Seaflex range of Mono Buoyancy Units (MBUs) to Waves4Power. 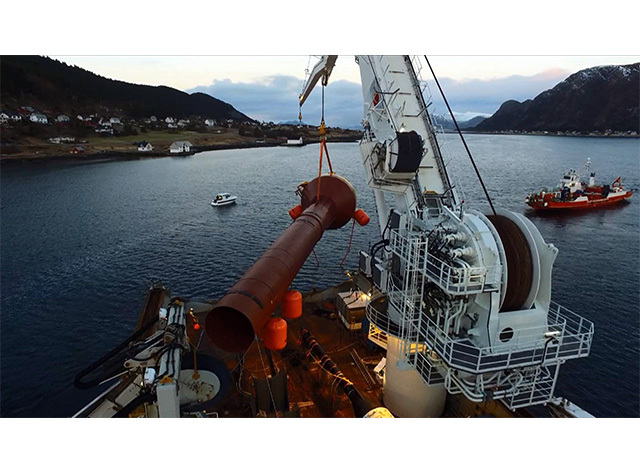 The MBUs were in operation on the installation of the first WaveEL device from Waves4Power, off Runde, on the west coast of Norway, following discussions which originated in the summer of 2015. These 5t modules, most commonly found on the installation of offshore steel and HDPE pipelines, provided 30t of buoyancy external to the device – supplementing the device’s own intrinsic buoyancy to increase the margin of safety , as well as preventing unwanted rotation during the final towing phase of the manoeuvre. Their single point of connection made the MBUs simple to rig and ensured that they were always at a favourable angle to the load. Once the device was in position, the air was easily vented from the MBUs, to allow for their swift and safe removal and retrieval.